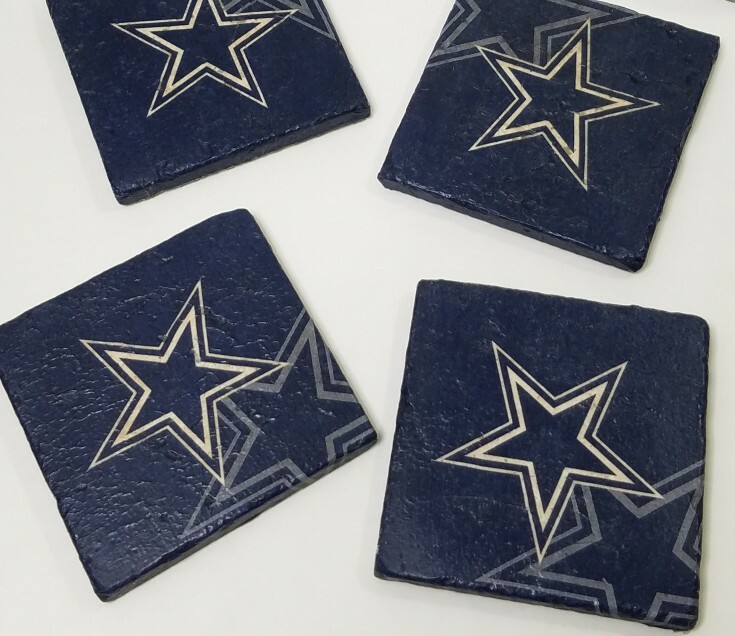 These diy Dallas Cowboys Tile Coasters are a little different from my other easy tile coaster projects. Instead of stenciling on the coasters I am going to decoupage a napkin to the top of the tile. Coasters make great gifts, everyone can always use a set of coasters.